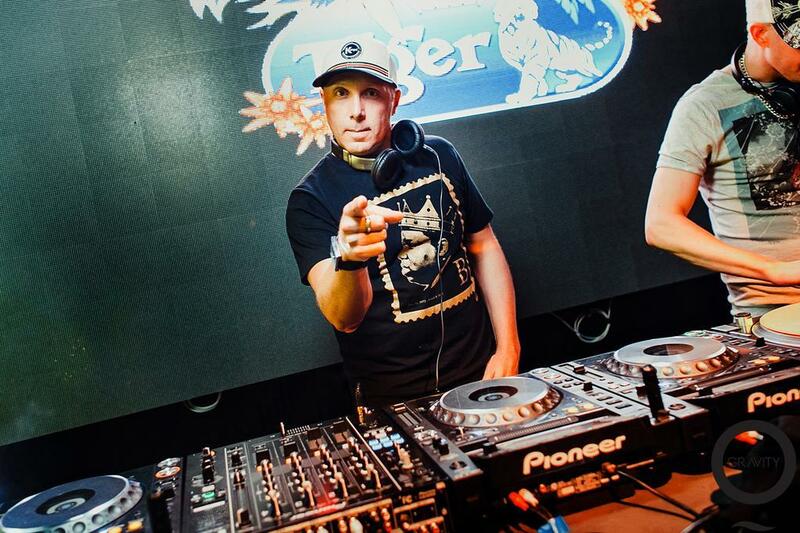 Krafty Kuts is the multi-award winning DJ/producer and undisputed King of the Breaks. Acclaimed in the UK, adored in Australia, admired in North America, his multi-genre sets, dexterity on the decks and dedication to dancefloor hedonism have earned him hierarchy status in every genre of electronic music. "I just hope to entertain people, thats what I intend to do. Just make people smile." For those who arent familiar with Krafty Kuts, tell us a bit about yourself and your background. Ive been DJing & producing music for about 20 years and travelled the world many times. Ive been blessed to play alongside some of the biggest names in dance music like Fatboy Slim, The Prodigy, Jazzy Jeff  the list is endless. Im all about funky beats and I love what I do and every day brings new challenges. Who has been your biggest influence musically? It is impossible to name one person but Electro, Hip Hop, & Funk is the main reasons I tick musically. Fatboy Slim from when I first started as he has made so many great dance tunes that I just loved. But a friend of mine Kurt Baggaley and Jon Ide introduced me to Electro music back in the day and that is where my whole love affair for music began. Funky Bass heavy beats & breaks with a touch of Hip Hop swagger!!! What equipment do you use for your DJs set these days? This is my exact set up 3 x Pioneer CDJ MK3s CD players, 1 Technics turntable and a Pioneer DJM 800 mixer please!!! What do you feel are your biggest achievement? Ive achieved a lot & Im always pushing myself to make better music & play great sets. Youve won many awards, including the Best DJ award at Breakspoll three years in a row. Thats a nice thing right? Yes I am very proud of my achievements and I think it makes all the hard work and determination worthwile but most of all I can look back and say yes I did achieve something with my life. I believe we are all gifted individuals it takes time to find out what we are best at. Like they say practice makes perfect and if you have the desire and drive to become the best at your chosen subject you can achieve many amazing things in life little or small with great rewards. Youre a certified legend in the DJ/electronic music world. What kind of progress have you seen the industry make since your time as a competition DJ? The industry has moved so fast its incredible. New equipment has improved skills for DJs and live performances and really helped push dance music at the forefront, which is definitely a good thing; New DJ mixers, software for making music on your laptop; programs like Ableton are such an incredible tool to have for doing DJ mixes and producing music really quickly. It is such a fast moving business and with visuals also playing a big part in music times have changed for the better in my mind. What advice do you have for musicians looking to start their own events? What have you learned from running your own breakdancing events? I have been running club nights on and off for 15 years so it is really important to make sure you dont spend over your budget. Always look to have something different from what everyone else is doing so your events dont look like what everyone else is doing. Make sure your flyers, artwork is on point and looks the part. Try putting line ups that encompass various styles and genres of music, that way you can pull in people from other genres & styles of music.